Loicas: Each of us live, and in some cases, were born in the south of Chile. It is a magical and privileged place of whitewater. Rafting for us is an opportunity to connect with nature and explore the wonderful rivers of our country. Many times this adventure has a large dose of adrenaline and usually requires more heart than physical strength. There is a connection with the instinct that we deliver in each paddle stroke as well as a union with those who are your partners in the raft. We are made to flow between the rivers and what better way to do it than together. It was captivating from the first time we did it, some by family connections and others by luck of life. We do not know why, but what we do know ... is that the connection is for life. RM: What is it about this sport that attracts you to compete? Loicas: It's a very complete sport. The river requires a lot of skill from each competitor: Be attentive, be thorough, be strong in body and mind, be relaxed, and be very aware of your limits. It is a mix of sensations that few sports demand and deliver at the same time; this is so attractive. It is a beautiful discipline, as are the people who practice it. RM: What does it mean for you to represent Chile as athletes? Loicas: Rafting is known more as an "adventure tourism ride" than as a sport. Chile is a country in which soccer takes all the credit, so it is a great responsibility to start this journey, to show women's rafting as a high performance sport and to represent Chile for the first time in a world cup. It is not just an everyday thing to stand with the flag of your country on the stage of a world cup. We feel proud to represent the country, since being an athlete implies fulfilling expectations and goals not only personal. It is about being perseverant and not losing strength at any time. It is a role that we love personifying and that we have chosen as a way of life. 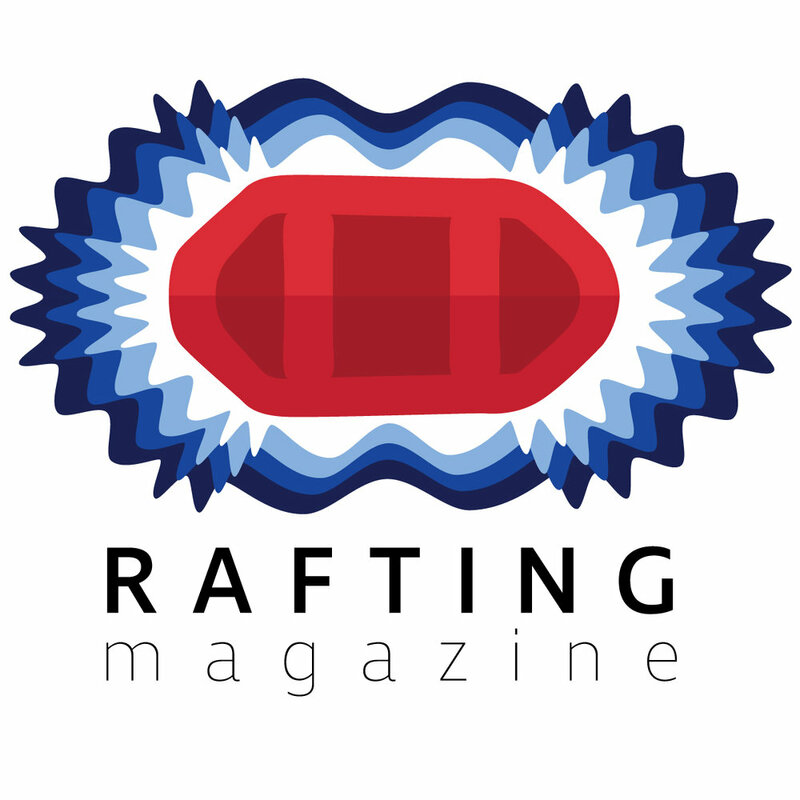 RM: What does your team want to contribute to the world of rafting? 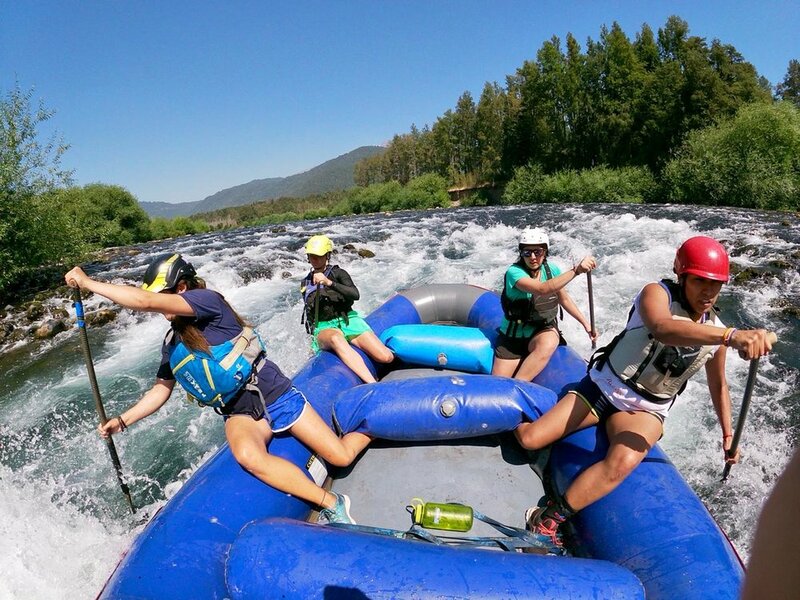 Loicas: We definitely want to integrate more women into the world of rafting. It's a sport that someone who has never practiced rafting would think that it requires a lot of strength and being a bit crazy. In reality there is a world of technique, fluency, and elegance that athletes should understand. RM: When you see young girls interested in the outdoors, what would you say? Loicas: In order to be in nature, the primary thing is to be respectful, to be conscious, and to use good judgement. If you are ever going to take a trip or to start an outdoor sport, it is essential that it is with someone trained, so more people will practice these sports with respect and understanding. RM: Is there a particular team who you are looking forward to competing against and why? Loicas: We would definitely love to compete with the current world champions. Besides being an honor, it is a great opportunity to measure our skills and learn new techniques which will be tools that will allow us to be better boaters in the future. Tabata is team captain of Loicas Rafting Team from Rio Fuy, Panguipulli, Chile. A personal trainer and lover of the outdoors as well as a hard charging whitewater athlete.